If there’s a defining theme for the building sector in 2019, it’s energy codes. Actions to update the rules that cities and states set to determine how effectively new residential and commercial buildings use energy are progressing on several fronts across the U.S. These regulations define the next generation of building design and construction in terms of energy performance, and because those projects will be in operation for decades, performance matters a great deal — now more than ever. You see, 2018 culminated with a preponderance of evidence that climate change is real and the time for action is immediate. Natural disasters are wreaking havoc across the globe and new reports sound the alarm for governments to do more to limit temperature rise. While improving the efficiency of energy codes has been the purview of advocacy groups for decades, the growing pressure to address climate change has put a spotlight on codes as a critical lever for states and cities when trying to cut carbon emissions that are fueling climate change. Buildings account for roughly 40% of the energy used in the United States and over one-third of carbon emissions. Without addressing the building stock, climate action and energy policy goals are simply not achievable. The good news is that substantive improvements in building energy codes are attainable in the near term. A recent opinion piece in the New York Times cites challenges with gaining acceptance for a carbon tax or other penalties for people or corporations that pollute. But “building codes with strict energy requirements, vigorously enforced” are the solution, writes Justin Gillis, a former environmental reporter and opinion contributor to the Times. “Yes, I know they seem boring… [but] they could hardly be more important,” he adds. We at the New Buildings Institute (NBI) agree, and in 2019 there will be a convergence of activities around energy codes that will make or break our ability to reduce the amount of carbon emitted by buildings in this next crucial decade. 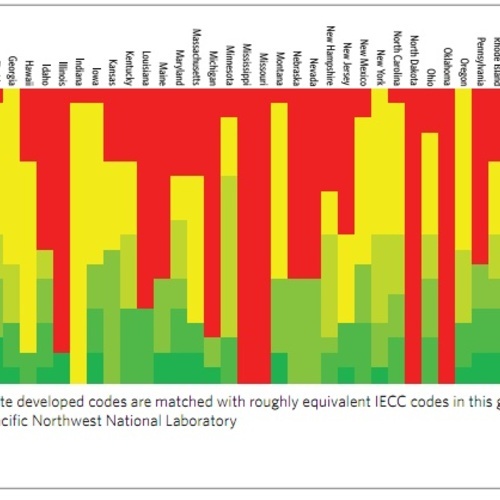 First: the three-year update of the International Energy Conservation Code (IECC), a national model energy code that many cities and states use as the basis for local adoption, is under development in 2019, culminating with a final vote by International Code Council members in the fall. 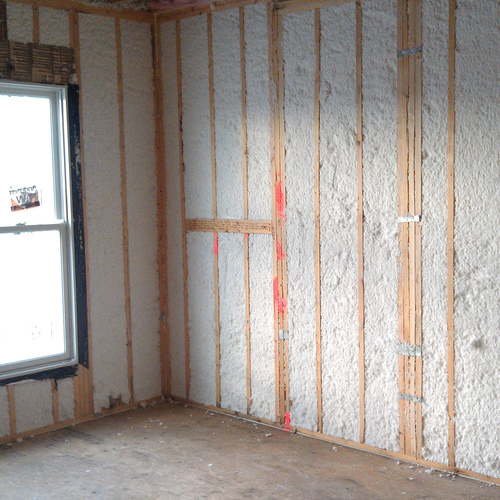 The ASHRAE 90.1-2019, another national model energy code, will be released this year, and those latest upgrades can track into the 2021 IECC process. All told, NBI and partners are seeking a 10-15% energy efficiency improvement in the IECC for residential and commercial structures, but the road is long with many hurdles. The payoff, however, would be huge. In the 2012 IECC, NBI was part of a coalition that helped realize gains that, by 2030, will reduce emissions equivalent to closing 44 coal plants and cutting energy costs by $24 billion. Secondly, if last year’s trend continues, 2019 will see growth in the number of states and cities that leapfrog the national energy code model and advance local regulations well beyond the minimum standards. Led by California, Washington, Vermont, and New York, as well as cities such as Boulder, Colorado; the District of Columbia; and Scottsdale, Arizona, jurisdictions are developing and adopting stringencies that are significantly better than either the IECC or ASHRAE 90.1-2019. Most notably, with the 2019 Title 24, California’s statewide energy code, going into force, local governments in the state are working to develop and implement stretch codes that are even more stringent. These codes utilize high efficiency measures in lighting, heating and cooling, and envelope to maximize reductions of energy needed to power the building. The most impactful advanced measures for commercial buildings are spelled out in two recent guidance documents developed by NBI. The 20% Stretch Energy Code Provisions and soon-to-be-released Stretch Energy Standard define a path to 20% and 40% efficiency increases above conventional practices. These publications offer states and cities the technical basis for improving local energy codes. To ensure lasting efficiency, operations and occupant behavior initiatives are needed to maintain energy performance long after the design and construction teams go home. Some policy leaders are looking at options for an outcome-based compliance path where buildings use actual energy bills to prove their intended performance rather than prescriptive standards or predictive modeling, which don’t always translate into actual lower energy use. Innovation in code development has become a vitally effective strategy to transform the way we approach design and construction of buildings. NBI is encouraging energy code developers to roadmap their progress by planning ahead two or three code cycles — typically each cycle is three years — giving the market visibility into what comes next and working toward long-term energy and carbon reduction goals. States that want to track progress have a new tool called the zEPI Jurisdictional Score, which ranks how well they are doing in comparison to other states, all the way to achieving a “zero energy code.” In the 2018 scores, Michigan, Massachusetts, and California ranked top in their efforts, but other states including Idaho, Florida, and Wisconsin saw improvements in their scores based on new code adoptions. At NBI, we believe models for zero energy codes should emphasize ultra-low energy use intensities (EUIs) on par with the current inventory of verified zero-energy buildings, which show a median EUI of 18. (Lower numbers mean lower energy use.) Zero codes requiring only current ASHRAE 90.1-2019 and IECC standards of construction fall short because they deliver EUIs more than double that of typical zero energy buildings, and shouldn’t be considered an endpoint on getting to zero. While still nascent, some aspects of what constitutes a zero-energy/zero-carbon code have already become clear. We will likely see more energy/carbon targets and performance ratings, rather than lists of detailed prescriptive specifications. Requirements for integrating solar energy and electric vehicle infrastructure into the building will become mandatory. (Look to NBI and the U.S. Green Building Council’s GridOptimal Buildings Initiative to define a metric and standard for building-grid harmonization and reduced carbon emissions.) And, building operators and occupants will be critical players as we seek persistence in building energy performance — a role that operators are well positioned for but will require continuing workforce training. 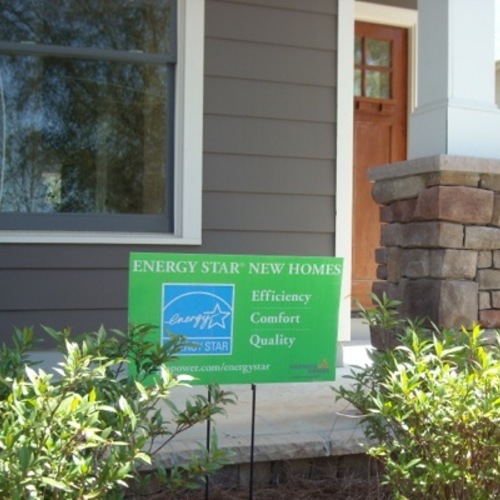 Are energy codes boring? Perhaps, but they have emerged as the nerdy hero we need right now to address the spreading impacts of climate change. Elevating the role of energy codes is possible and imperative as the window of opportunity is closing rapidly. 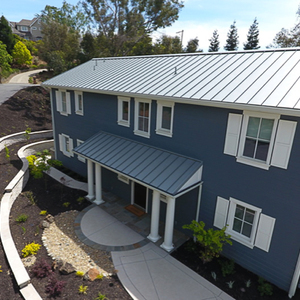 If we step up to the opportunities presented during this 2019 Year of Energy Codes, we will look back on this time as a sea change in the transformation to a low-energy, carbon-neutral built environment for the future. Here’s to 2019! Ralph DiNola is CEO of the New Buildings Institute. This post originally appeared at the Zero Energy Project. 49th we are! Here im doing one now with r40 plus walls r60 roof r20 slab and stem wall. Prescribing higher code standards is a good thing, however, more stringent codes won't offset poor workmanship. I've stopped by many high density housing developments under construction and witnessed ABYSMAL workmanship on the continuous exterior insulation layers which are being used to comply with our current codes. Enormous gaps between panels, damaged materials with corners missing, a complete lack of detailing where insulation meets architectural details like awning roofs... what's the point of a layer of continuous insulation if it's not continuous? If air can flow behind this layer it's pretty much useless. It will be interesting to see what the new codes require and what the building industry does to adapt. I maintain that without mandatory post-construction energy evaluation, the volume builders will continue to be all about profit with little regard to how much energy their projects consume. We need an ever-clearer simple reputable and scholarly accounting and depiction of what our various efficiency improvements mean to the global commons and global warming. As someone involved in design and construction on the architecture side, I routinely experience people on the Professional, Client, and Trade side not addressing energy efficiency in large part due to a lack of clear understand about what various improvements mean to the "big picture". Financing, of course, being the other main reason energy improvements are sometimes not selected or implemented. >"Prescribing higher code standards is a good thing, however, more stringent codes won't offset poor workmanship. I've stopped by many high density housing developments under construction and witnessed ABYSMAL workmanship on the continuous exterior insulation layers which are being used to comply with our current codes. Enormous gaps between panels, damaged materials with corners missing, a complete lack of detailing where insulation meets architectural details like awning roofs... what's the point of a layer of continuous insulation if it's not continuous? If air can flow behind this layer it's pretty much useless." "Some policy leaders are looking at options for an outcome-based compliance path where buildings use actual energy bills to prove their intended performance rather than prescriptive standards or predictive modeling, which don’t always translate into actual lower energy use." "We will likely see more energy/carbon targets and performance ratings, rather than lists of detailed prescriptive specifications. " Sloppy work can defeat the best model, but it can't fool the post-construction measured performance. Sweden has used measured performance standards in their building codes for more than a decade now. Building designers & contractors whose projects fail to measure up are on the hook for rectifying the shortcomings, which is in most cases far more expensive than doing it right the first time. Thanks Dana, I missed that, I only skimmed through the article. It will be interesting to see if measured performance standards are actually considered. I imagine the pushback from the building industry will be huge. If they are successfully implemented, I hope the penalty structure is much more severe than just a fine that ends up being nothing more than a pollution tax that big builders would rather pay instead of complying with the code.
" I imagine the pushback from the building industry will be huge". I sat in on the Energy Code Task Force meetings in MN in 2003-2004 and the resistance from the Twin Cities production builders to energy code changes was tremendous. We in MN have quite a good energy and mechanical code only because of the hard work by some dedicated professionals at the MN Dept. of Commerce and MN Dept. of Labor and Industry. It certainly did not come from the production builders lobby. How do the Swedes do it to eliminate occupant behaviour? I can see things like air-tightness being easy to prove, but using energy bills as a proxy for performance seems fraught with problems. The last BEopt model I did it seemed the model code required all the insulation that will pay for its self in energy savings over the life of the building at today’s costs and energy prices. 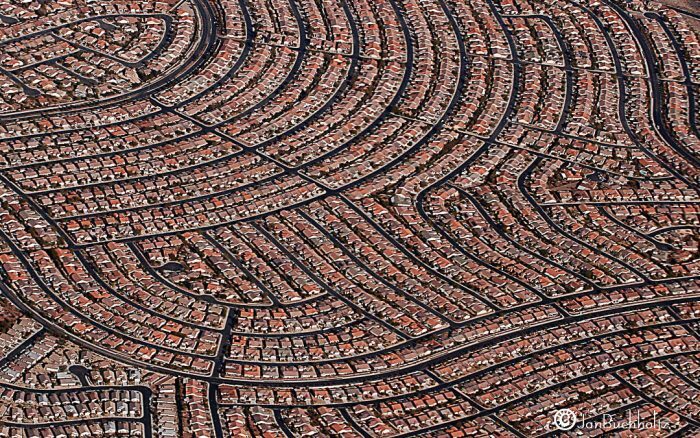 If the code drives up the cost of new construction it will kill off the low end new construction by pricing people out of the market, but part of me think that is the plan slow suburban sprawl and force people back to the cities. A big problem is realizing that a significant portion of the country effectively has "no code." Furthermore, for whatever reason(s), there is a good portion of the country that seems to be against measures that address climate change. Moreover, jurisdictions that do have enforced codes can often be many years behind in adopting the latest code provisions. First there are not that many states which are "no code". However, homebuilders have significant input in state/local code revisions. As mentioned above there appears to be a mismatch between the skill set needed to meet more stringent code and that of the existing labor pool. Fixing that is going to require an increase in wages for an industry which already has an insufficient supply of labor. California, due to its climate, for example was able to mitigate that skills gap via solar. Add the fact that the cost of power in many of these areas is the lowest in the country so it should be no surprise that adoption has been slow. It can mean that, but you have to be careful. Where I am there are are areas with no permits and no enforcement, but the provisions of the code still apply - and our code makes clear that the owner of a building is responsible for making sure it meets code. There may be implications in terms of both liability and insurance when you don't follow a code, even where it isn't enforced. In your more litigious society it seems like it would be even more of a gamble to disregard codes. The mortgage lenders are none-the-wiser. Unless there is something obviously from a structural perspective they assume the home is built to local standards/code. Another example, a homeowner in rural Northeast heated his home using a wood burning furnace. The "furnace" sat in the bed of a 1960;s era pickup truck (on block) in the back yard and was connected via rigid ducts which extended into the cellar which I assume was connected to an air handler. I have no idea how it worked. (IIRC I saw this in an appraisal, but can't be certain). Granted these are extreme cases but still. I wonder if DC will, like it has in the past, just throw a bunch of money at the states on the condition that they follow the most current code? IIRC that occurred in 2006 or maybe 2009. The mortgage lenders are none-the-wiser. Unless there is something obviously from a structural perspective they assume the home is built to local standards/code." On strictly energy code issues there is a lot to be said for the Swedish approach. The Swedish approach requires an enforcement agency/mechanism as well. I see that being a shortfall to implementation in the U.S. I suppose the onus would be on the home buyer. This could probably make way for taking builders to court. But I can see builders arguing that homeowners have not followed some strict matrix of home use guidelines that builders would impose. Finally, there just isn't enough demand for these ideas from home buyers. There I go sounding cynical again. I don't think that's being cynical, just realistic. Any standards need to take into account how occupant behaviour affects consumption. i think that we would get much better overall results by stepping up code standards and enforcement during construction, than trying to mandate house performance after they are complete. >"i think that we would get much better overall results by stepping up code standards and enforcement during construction, than trying to mandate house performance after they are complete." It doesn't take very many contractor & architect bankruptcies from having to rectify underperforming houses to make the construction practices self-policing, which makes it far less time intensive on the regulator/enforcer's part. In Sweden the majority of new homes are built in factories now, for quality control purposes. There are several home building companies using comparable methods & quality in North America, as well as factory home builders with pretty lousy quality control. But the paradigm here is still site-assembly with highly variable results. A house built in a factory doesn't have the materials subjected to the weather during construction, some of the construction and many quality control checks can be semi or fully automated. Getting the house to the site can be a logistical challenge, even when built up in large modules. You may be right, but I'm still struggling with how you measure the house performance without accounting for occupant behaviour. I built a 2400 sf. relatively well insulated and air-sealed (not quite good enough?) house for a client which relies on baseboard heat with a good wood stove too. They have rarely if ever used the electric heat, use the wood stove 24/7 and keep two windows wide open year round, and use a propane BBQ for most meals. Their "official" energy costs dwarf mine. Another occupant in the same house would have wildly different energy bills. Here in BC over the last 30 years the standard house that is built has transformed itself, first in terms of the resiliency of it's envelope, and more recently the energy they consume. That transformation is entirely due to building code changes mandating rain-screens, better detailing, and increasing the levels of insulation required for each building assembly. It hasn't entirely eliminated the difference between good builders and the less conscientious, but it has made significant improvement over the whole stock of new houses. To me that seems like the most promising way to go. What lenders typically do is that when something is not to code (ex, garage converted into living space, kitchen in the basement). They have the appraiser either deduct the square footage of the "no code" living area such as with a converted garage OR take new photos showing the "no code" features removed (removing the stove from an un-permitted basement kitchen). Of course the "wink wink" is that the stove was just slid out of the picture and re-installed once the appraiser left. The lender is absolved of liability because they can't, nor should they, control occupant behavior. > "I'm still struggling with how you measure the house performance without accounting for occupant behaviour." My understanding is that in Sweden they measure the behavior before subjecting builders & architects to onerously expensive remediation measures. Min svensk is not very good (pretty bad, actually) , but a handful of years ago I read an online article (in Swedish) describing how that is done. The whole process starts when a building owner/buyer makes a formal complaint that the building is underperforming. Ah - that makes a lot of sense. People whose behaviour would adversely affect energy consumption would probably be very unlikely to be the ones to complain about the house's performance. And (perhaps treading on dangerous ground here) culturally Swedes are probably less likely to play the system than we might be.